by guest blogger: Carolina Buitrago, Ed.D. Social emotional learning (SEL) has unquestionably gained a place in the busy spectrum of educators’ priorities. There is abundant research on the benefits of purposeful SEL work in classrooms and schools for the academic success and general wellbeing of students. However, SEL is a broad domain of development, and educators may wonder how to integrate it into their day-to-day teaching. Outside of SEL-focused curricula, how might teachers decide where to focus and how? What strategies might promote the development of particular competencies? CASEL has organized contributions from various disciplines and research studies on social and emotional development into a framework that defines five core SEL competencies. These competencies are self-awareness, self-management, social awareness, relationship skills, and responsible decision-making. All of these competencies can and should be developed across classes, schools, families and communities. The Listenwise collection includes many stories that align with CASEL’s five core SEL competencies. These stories can be used to structure classroom discussions with a particular competency in mind, while also teaching listening, speaking, and other literacy skills. Below is a curated list of stories related to each competency, though many of the stories apply to more than one. Self-awareness involves identifying emotions, developing an accurate self-perception, recognizing one’s strengths, being self-confident and self-efficacious, and having a sense of optimism and a “growth mindset.” Audio stories can spark conversations about how animals can help us display emotions, how emotions affect what we eat, or how positive messages and supports might help with very negative emotions. Issues of identity can be discussed through addressing how immigration status, physical appearance, or others’ perceptions of us may shape our self-perceptions. Self-management combines impulse control, effective stress management, self-discipline and self-motivation, goal setting and organizational skills. 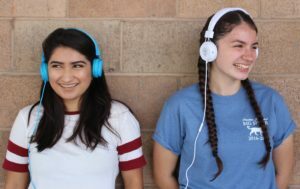 Audio stories can help students reflect on typical causes of teen stress and on how the body responds to stress. Stories of people whose strength and grit helped them overcome adversity, including poverty, hurricanes, homelessness, illnesses and fires, can illustrate what can be accomplished through perseverance and self-motivation. Social awareness means being able to take someone else’s perspective, experiencing empathy for others, appreciating diversity, and respecting others, including those from diverse backgrounds and cultures. Students can listen to stories about how books such as Harry Potter and Anna Karenina or virtual reality can inspire empathy. They can learn from stories about acts of kindness that can make a big difference in the lives of others, such as supporting someone who lost a parent or a home or helping after a hurricane. Stories can help students reflect on the value of diversity and expand their social awareness by learning about people engaged in volunteerism, activism, and social justice efforts. Relationship skills include the ability to communicate clearly, engage socially, build satisfying and healthy relationships, and effectively work in teams. Students can learn from a group of college students who worked as a team to develop an innovative invention, or listen to how the work that ants do together can teach lessons about collaboration. To learn about effective communication with others, students can consider the nature of apologies and which kinds best reflect our intent to make amends. They can also reflect on what builds strong friendships as they listen to how a 6-year-old boy did something for his friend that made a big impact. Responsible decision-making includes being able to identify problems; analyze, reflect on, and evaluate situations; and develop a larger sense of ethics and social norms. 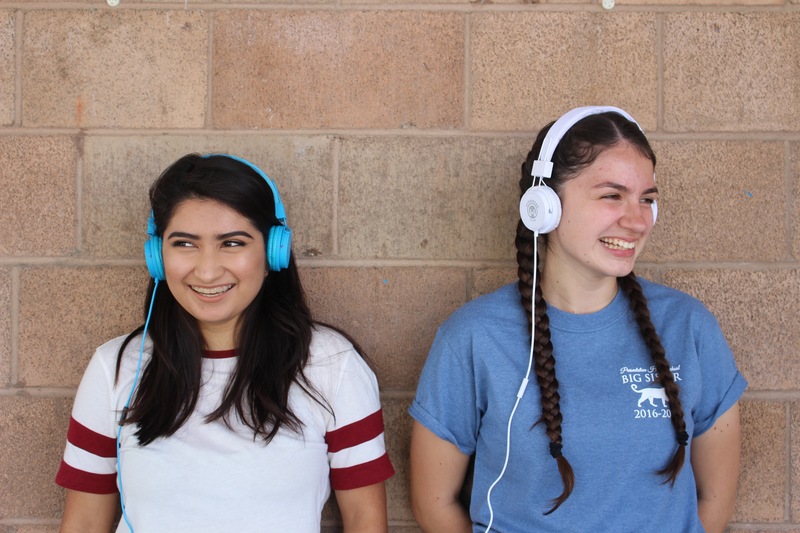 Audio stories can help students learn about how some choices may have lifelong consequences or how to make consistent choices to ensure their success. They can also analyze and evaluate school policies or consider how to responsibly use technology at their disposal. Listening to the voices of real people in stories like these and discussing how they relate to students’ lives can help to facilitate SEL while building listening skills. We encourage you to continue exploring Listenwise’s story collection using CASEL’s five core SEL competencies as your compass. You may also be interested in a webinar co-hosted by Listenwise and Facing History and Ourselves about teaching current events with an SEL lens. We welcome your comments about how you use Listenwise to support students’ social and emotional learning.